We dive a great deal around the UK and offer various trips where you are able to come and dive with us. These are either single day trips, or multi day expeditions. 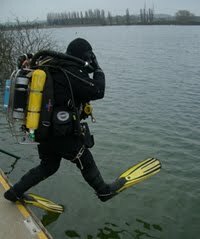 We dive mainly in the English Channel from various places along the South Coast. Favourites are Littlehampton, Weymouth, Swanage, Eastbourne and Newquay. Please contact us for our current availability schedule for 2010, and to join our mailing list for future trips.